One of the most common personal injury complaints is neck pain and back pain from sports accidents, auto accidents, work injuries and spinal injuries. Being male. Spinal cord injuries affect a disproportionate amount of men. In fact, females account for only about 20 percent of traumatic spinal cord injuries in the United States. Being between the ages of 16 and 30. You’re most likely to suffer a traumatic spinal cord injury if you’re between the ages of 16 and 30. Auto accidents are the leading cause of spinal cord injuries for people under 65, while falls cause most injuries in older adults. Engaging in risky behavior. Diving into too-shallow water or playing sports without wearing the proper safety gear or taking proper precautions can lead to spinal cord injuries. Having a bone or joint disorder. A relatively minor injury can cause a spinal cord injury if you have another disorder that affects your bones or joints, such as arthritis or osteoporosis. Everyone Gains When An Injured Worker Is Safely Back On The Job! Chiropractic care continues to be the top treatment options for work related injuries. Lower back pain and repetitive stress injuries, including carpal tunnel syndrome, are just two of the more common work related conditions we treat on a regular basis. 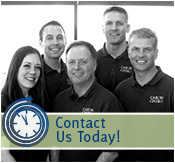 Chiropractors are professionals at uncovering underlying issues in personal injury accidents. Whether it is a single adjustment or a series of treatment, your chiropractor is one of the best options to get you healing on the right path to recovering from your injury. Employees may choose their health care provider for treatment of a work-related injury. The Minnesota workers’ compensation statutes entitle an employee to reasonable and necessary medical treatment or supplies to cure or relieve the effect of the work injury. The employer is required to furnish medical treatment as described in Minnesota Statutes 176.135, subd. 1, which includes psychological, chiropractic, physical therapy, podiatric, surgical and hospital treatment. This entry was posted	on Thursday, July 26th, 2012 at 6:00 am	and is filed under Auto Injuries, Chiropractic Treatments, Personal Injury, Sports Injury, Work Injury. You can follow any responses to this entry through the RSS 2.0 feed. You can leave a response, or trackback from your own site. © Copyright 2019 Caron Chiropractic Clinic, P.A.